Modeling has been a part of media planning, buying, research and analytics as long as there have been computers to model the effects of media. But the availability of real-time data has shifted the industry’s focus from regression models that looked at historical data to understand current and future patterns to ones that process real-, or near-time data to attribute which pieces of the media mix are performing best. Last week, CIMM released a study that attempts to tame the burgeoning field in a simple, easy-to-reference way. 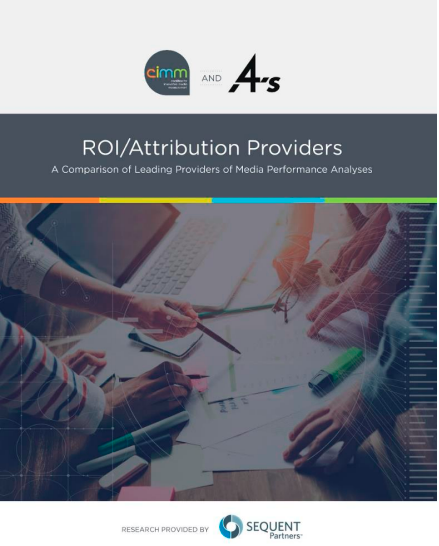 The report, which was compiled by attribution and modeling experts Sequent Partners, organizes more than 25 providers of classic marketing-mix modeling, as well as digital, multi-touch and TV attribution services in a uniform and succinct format. Assembling the guide, color-coded and grouped for easy reference, was a formidable task, Sequent Partners’ Alice Sylvester said while unveiling the report Feb. 1 at CIMM’s annual Cross-Platform Media Measurement & Data Summit in New York City. The hardest part, she said, was developing a glossary of key terminology, which comprises the last several pages of the report. She said Sequent relied on Wikipedia references for key terms in order to avoid insular ad industry terminology. Sequent -- which hosts an annual Attribution Accelerators conference at which established, as well as new and emerging players in attribution present, debate and make their base for methods, science and algorithms that frequently seem like a black box -- has been playing a key role in organizing a rapidly expanding universe of providers, and one in which the lines between modelers and modeling approaches often seem to be blurring based on how they describe and position themselves. The new CIMM document, Sylvester said, is an attempt to create some demarcation along those lines. “We went out of our way to make sure we weren’t being smoked,” she said of Sequent’s assessment of the various providers. One thing was clear from a panel discussion following her presentation: interest in attribution modeling is growing fast and reaching all ends of the industry, even the long-tail. 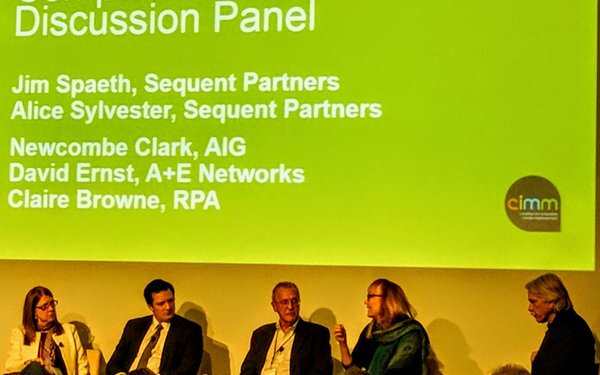 Asked by Sequent’s Jim Spaeth, moderator of the panel, if the panelists have been seeing a surge of interest in attribution, RPA Vice President-Director of Media Research Claire Browne said she was recently asked by the 4As to help the trade association prepare a briefing for “their smallest agency clients” who requested an education on attribution. The biggest challenge in getting up to speed, said Spaeth, is deciphering the hyperbole used by attribution providers. “We call it the blub, blub, blub, blub,” Spaeth quipped, adding that the process is more of a “journey” than an outcome. 3 comments about "Attribution Got You Scratching Your Head? This Should Help". Eric Fischer from HJA Strategic Consulting, February 5, 2018 at 1:06 p.m.
is this study available to the public? If so, is there a link? Joe Mandese from MediaPost, February 5, 2018 at 1:26 p.m.
Paula Lynn from Who Else Unlimited, February 5, 2018 at 5:52 p.m.
Kind of a deja vu topic again.